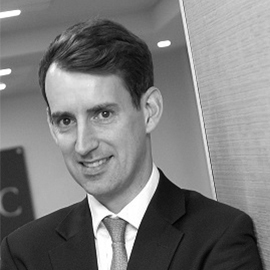 Tosca Debt Capital (TDC), the UK’s only regionally-based and SME-focused debt fund, has appointed a new Assistant Portfolio Director, bringing the Manchester-based lender’s total headcount to 10. Polly Tames joins the team at TDC from Bench, having spent 13 years with the British streetwear brand. In her new role, Polly will work with TDC’s Portfolio Director, Victoria Daly, in managing its growing investment portfolio. TDC’s latest appointment lays the foundation for continued deal making in regional markets, with a particular focus on unlocking the potential of SMEs within the Northern Powerhouse. Richard Williams, Partner at TDC, said: “Polly is a great addition and brings a unique insight and understanding of our clients’ point of view, having sat on the opposite side of the table during her time at Bench. Polly added: “It’s an exciting time to join TDC and I look forward to supporting regional SMEs and entrepreneurial management teams, and using my industry knowledge to benefit my colleagues, clients and investors.